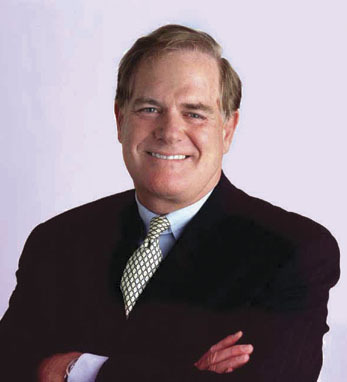 A football coach for 16 years, Joe Moglia won two Ivy championships as defensive coordinator at Dartmouth, set defensive and kicking records at Lafayette, wrote a book and numerous articles, and has been inducted into two sports Halls of Fame. He served from 2009-2010 as the executive advisor to the head football coach at the University of Nebraska. In January of 2011, he was named the president and head coach of the United Football League’s Omaha Nighthawks. In the business world, both at TD Ameritrade and at Merrill Lynch, Joe has executed world-class business strategies for almost two decades. In his seven years as CEO at TD Ameritrade, shareholders enjoyed a 500% return. The firm’s market cap grew from $700 million to $10 billion and client assets from $24 billion to $280 billion. Joe has received the Ellis Island Medal of Honor and has been honored by the National Italian American Foundation, the Columbus Citizens Foundation, the American Institute for Stuttering, and is a recipient of two Honorary Doctorates. Joe is a first-generation Irish American whose mother is from Belfast. He is married, with six children.